Yesterday's confirmation of the release date and price of Super Mario Run has caused Nintendo's shares to rise as much as 5.3 percent during the day's trading, eventually closing around 2.78 percent higher at 25,550 yen. The new iOS title - which is coming to Android next year - arrives on December 15th and will be free to play. For $9.99 players can unlock access to the full game. Apple already has more than 20 million players signed up for a download notification the moment the title goes live. Offering a free game with an option to unlock all the available content for just $9.99 will appeal as a pricing point to many. Many successful mobile games, such as 'Clash of Clans' by way of example, have seen an annual spend of over $100/year/gamer. So to set a low incentive (zero to try) and then a low total cost when engaged could set Nintendo on a differentiated path which, ultimately, could be a game changer to address a wider audience. 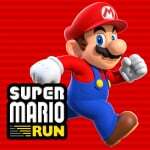 For unlimited use of 'Super Mario Run' it is the price of a just one month of a Netflix subscription, or one month of Spotify premium or a fraction of a traditional game ASP (average selling price). Nintendo's stock price is up 52.5 percent year-to-date, and has been buoyed by the company's move into mobile and the impending arrival of its new home console, the Nintendo Switch. November with Pokemon Sun and Moon? Guess the investors want for Nintendo to go 3rd party for mobile. @Azooooz When do investors not want them to go 3rd party? I'm not really excited for Super Mario Run. Still going to buy it like a mindless sheep though. Hence why the shareholders are happy! Hope it makes money for them. This clearly isn't for gamers who own the likes of New Super Mario Bros. and Super Mario Maker already. This might be good to get casuals back into Nintendo I guess. That´s exactly what they want. Get people hooked with mobile and then say "Hey, listen! You can play a far better version of this on the Switch!" It did work for Sun & Moon. Investors are weird. New console that will play multiple games? Stocks fall. New single mobile game? Stocks rise. I mean I get it but it still feels weird. Even at £7.99 this is gonna sell a ton. I hope they've taken the opportunity to include in-game adverts for Pikmin, because I love that series and it needs more love. Period, exclamation mark. @damo "which is coming to Android next year"
If you look at The Pokémon Trading Card Game app you'll see it was released on iOS September 2014 and Android April 2016, about 19 months later. So I'm not holding my breath for this on Android until January 2018 unless you have it writing somewhere from Nintendo. Not that they don't delay everything anyway, but I just haven't read an Android date, always just "later". This is all positive brilliant news! The better the share price - the more and better games and hardware we get. Everyone should be pleased with this result. Ps. If you don't like the idea of this on ios then don't buy it lol. @cfgk24 I agree, this only makes good business sense from Nintendo's perspective. Push your main IP on mobile with smaller, bite-sized games while the consoles handle the larger, fully-fledged games while getting a bit of publicity. Win-win. Will try before I buy but almost certainly will buy; unless I really can't play it. Wonder if there'll be any connectivity with the Switch? How? I haven't thought that far yet. I... I wasn't aware of the Freudian implications of the stock market until I posted this GIF. Nintendo is literally struggling to give the stock market some wood. No thanks. I hate buying in app purchases. And for such a short and simple game for $10 is crazy expensive. Even $5 is still expensive. Many endless runners are 99¢. That should've been the price. But oh well, guess I'll just get the APK file. Nintendo makes an announcement = Shares rise. Nintendo delivers what was announced = Shares fall. Stock market rollercoaster never stops. @Action51 Why isn't it? I keep hearing this and on some level, I get the sentiment when it comes to mobile gaming. But why exactly wouldn't a console gamer want to play this if its a high quality Mario game? @Nintendude789 According to some, not exactly an endless runner. And we don't know exactly how long or the amount of content is available. I'm gonna give Nintendo the benefit of the doubt that the content will be worthy of the $10. And with there being a $10 upfront fee, then I'm assuming we won't be dealing with in app purchases. Seriously, why this guys bought Nintendo shares in the first place? It seems they would be happier with shares from King or Supercell. @UmbreonsPapa Some people just can't bother to be corrected, and rather an excuse to pirate, which is strange for a fan with the name Nintendude you'd think they'd want to support Nintendo, eh. I just have to point out as I did in the other story. Nintendo did indeed say march 2017 for BOTW, in fact I was one of the lucky 30 who played it at hyper Japan and the Nintendo rep there said March 2017 numerous times. So if it is not out in March it has definitely been delayed. I'll be interesting to see how well this does and how it impacts future consile Mario sales (and that of the Switch). I enjoyed the Rayman mobile titles but I didn't put any money into any of them. They were fun and well made but no substitute for the excellent Origins and Legends console titles. I feel this will be much the same, only New Super Mario-ey and with a mode focussed on Toads. I'm so bored of Toads. @Nintendude789 not an endless runner (though I believe Nintendo said there will be a mode to that effect). This is, according to Nintendo, an auto-runner so there is an end to each level. Think more along the lines of the Rayman mobile titles or something like Bit.Trip Runner. As for being short, no mention of length anywhere. So not sure where that assumption has come from. Endless runners have only a handful of different environments and all obstacles look the same. This game has so much more than any endless runner I have seen, and all endless runners want you to spend lots and lots of money on unlocks and pay to win. If this helps Nintendo sort themselves and start providing more ambitious Mario titles on console again, then I'm all for it. @Nintendude789 How do you know the length of the game ? I s it short? Most Mario titles are pretty extensive! Also - there are NO in app purchases - you can just pay once for the whole game! I think that's fantastic! Major titles will be able to be preceded buy a mobile title which will help gain traction for the following console game - that may still even be in development. It will all help raise awareness - and sell more Switch consoles! Imagine how sweet life would be if nintendo could budget for a major title for a console that had 60-100 million units out there! @Great_Gonzalez "Nintendo did indeed say march 2017 for BOTW"
I know they did, they said it, put it at the bottom of the official BotW page, then about 20 minutes later changed it to simply "2017" and if you now do a Google search you won't find any official announcement on the date. I know, I've looked, repeatedly. Did you get his name? One thing I've noticed about Nitneod, they are always releasing info anonymously, that way when it turns out to be yet another lie in a long history of lies you can never tie it back to anyone to prove anyone said it.